I saw this a while ago on Pinterest and am finally giving it a try. It was easy and fun to do while watching TV one night. And while I am sure you can use any variety of paints, I used what I had on hand...nail polish. 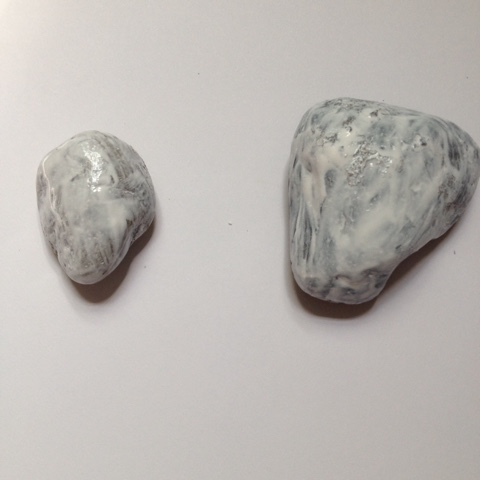 * Coat rocks in one to two layers of white nail polish. This makes a big difference in how the colors will look. Don't skip this step. Allow to fully dry. 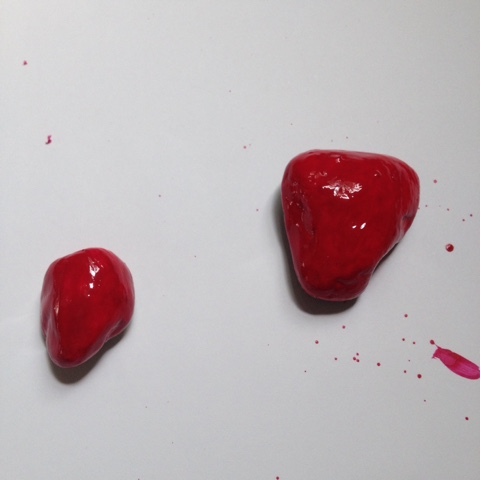 * Coat rocks in red nail polish. 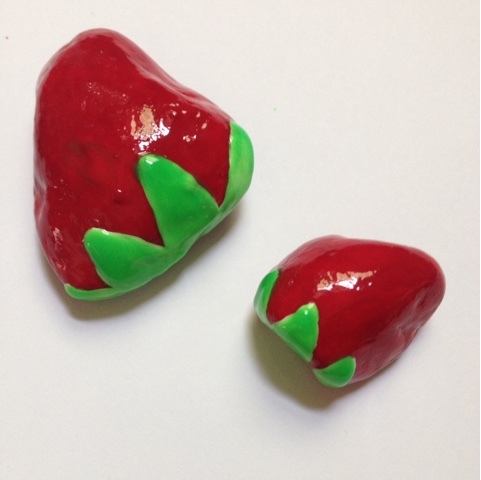 Also decide which part of the rock is the top and which part is the bottom of the strawberry. Will likely need two coats. Allow to fully dry. * Add white nail polish in shape of green top to berry. Allow to fully dry. * Top white with green in shape of green top to berry. Will likely need a few coats. Allow to fully dry. 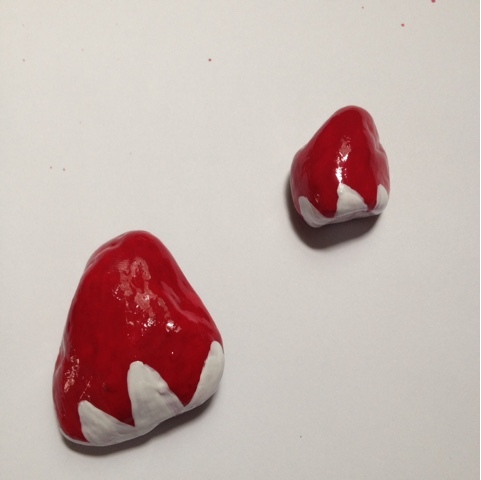 * Add small black dots to make strawberry seeds. Allow to fully dry. 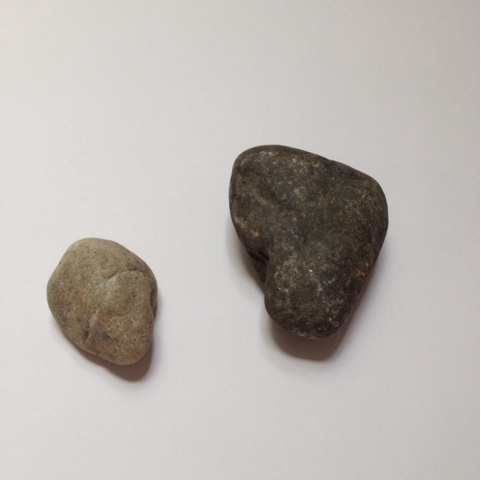 * After the entire rock is dry, add a nice shiny top coat. Allow to fully dry overnight before putting outside in your garden. In theory, if you put these out before your strawberries start to ripen, the birds will see the rock fruits, go to peck them, realize they are not edible, and learn to avoid your fruit in the future. We shall see if this really keeps the birds away or just adds a bit of whimsy to my garden. 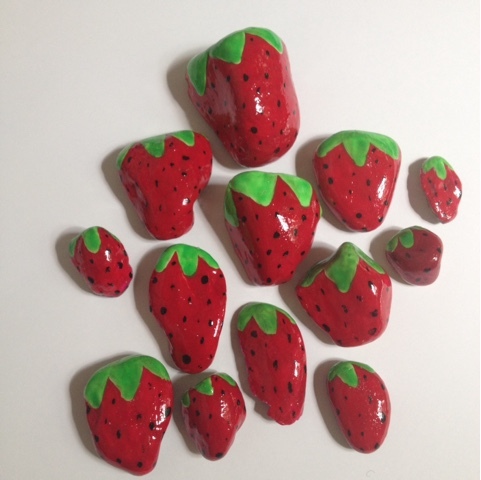 Either way, I'm pleased as punch with how cute my little strawberry rocks turned out! Wait until I show you how this simple project has spiraled into a mild obsession that my dear friend Maple Syrup revers to as "KK's getting stoned."